Architecture of Tiny Distinction: The Mysterious Charlotte Hunt: Solved! A few months ago I wrote a post about a miniaturist named Charlotte Hunt. I had seen many miniature interiors by her, but found no actual information. She created mainly Scandinavian interiors and painted furniture. 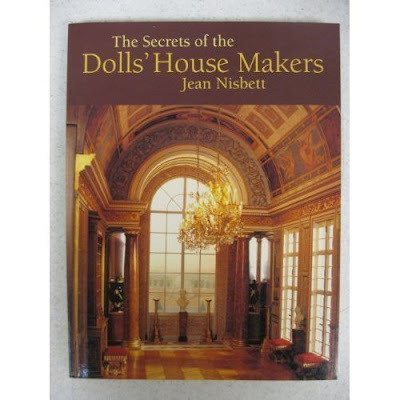 Then a little while ago I ordered a book called Secrets of the Dollhouse Makers by Jean Nisbet. The book contains an article about her and her work. I recommend the book, it is a great resource if you are interested in prominent miniature artists.